A friend sent me a pretty cool photo today. 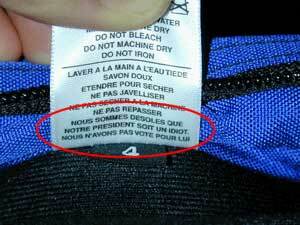 It's of a label on a bag of some sort – an American product – and as part of the washing care instructions in french it adds “We're sorry our president is an idiot, but we didn't vote for him”, or words to that effect. 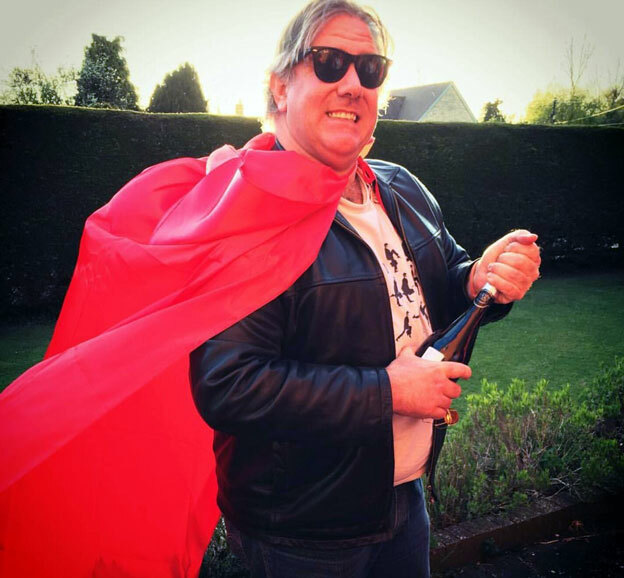 It's certainly not a new photo – as far as I can tell it's been circulating on line since about the end of March. In itself it's pretty amusing, I thought… A bag with a political point of view. But not an overt, “in your face” kind of thing – just a subtle apology. I had a bit of a dig around on Google to find out whether this picture was likely to be a Photoshop Special, and as well as finding Hundreds of Links, I also found that it appears to be real, and first reported on Skeptomai. What intrigued me more was the way that the guy's “comments” on the blog entry turned into a full scale political debate! What gets to me is why people would bother having any kind of debate on the internet at all (there's a famous saying about arguing on the internet…) – but especially on some irrelevant blogger's comment page. Arguing online is just pointless ! Arguing points of view at all is kind of pointless… it's near on impossible to change what someone thinks, but certainly not on what is effectively a website guestbook – anonymous and inconsequential. Anyway, in concept I thought the idea was funny. Previous Post2004-07-11 : When I left I was but the learner, now *I* am the MASTER !